Pleated air filters are one of the most common filters for home heating and cooling systems. Here’s why they are so popular and how to use these HVAC filters for best results. A pleated air filter is made from a sheet of polyester, paper, or cotton folded into pleats to increase the entire surface area. This allows the filter to trap more airborne particles such as dust, dirt, and hair (from pets and humans), which could otherwise damage your furnace’s blower fan and clog the AC coils. As a secondary benefit, a pleated filter will improve the indoor air quality of your home. they cost less than the super-efficient electrostatic filters. These filters come in a range of MERV (Minimum Efficiency Reporting Value) ratings and depth sizes -- 1, 2, 4, 5 and 6 (representing inches of depth). 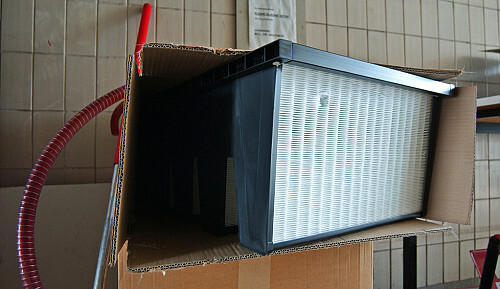 The most common sizes for an HVAC system air filter are 1 or 2-inch depth. Some pleated filters have a wire mesh on one side to help maintain the shape of the filter and to help prevent blockage. This is usually a sign of a lower quality filter, in that better quality filters are made of stronger material, thus eliminating the need for the wire mesh. How often should I replace a pleated filter? Most pleated filters need to be replaced every 90 days (or possibly more often during periods of heavy HVAC use), as opposed to every 30days for fiberglass filters. You should check your pleated filter every month to make sure there is no blockage or damage. Replace a used filter with a new one of the same size and type. Appoint a household member who does not have dust allergies or respiratory problems to handle this task. Be sure to turn your furnace off before switching out the filter. Have a bag handy to place the old filter in, as it will be very dusty. At this time, used air filters are not recyclable and should be disposed of with your garbage. Check the filter manufacturer's directions for additional tips on filter replacement. If you’d like to delegate this chore, consider setting up a maintenance plan with a qualified HVAC professional. Protect your blower fan, cutting down on the need for HVAC service calls and helping your furnace last longer. Safeguard against AC problems such as clogged cooling coils or water leaks. Allow greater heat transfer, who makes your HVAC system work more efficiently. This saves energy and reduces your utility bills. Remove dust, mites, animal dander, and other allergens from the air, making your home a healthier place. Keep your home cleaner by reducing dust and dirt on walls, ceilings, floors, and furniture. Cut down on time and money spent on housekeeping and cleaning.